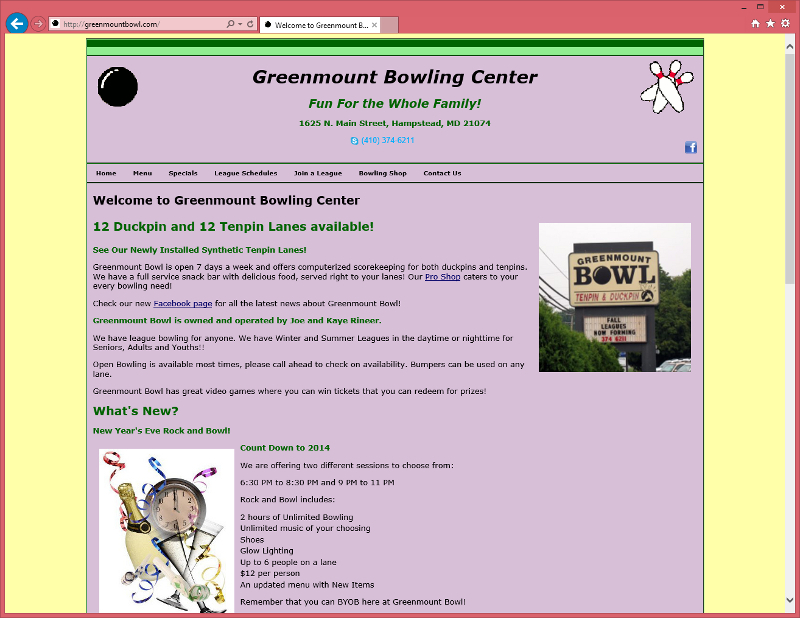 This an example of a web site I designed for Greenmount Bowling Center. Greenmount and Mt. Airy Lanes are owned by the same couple and they requested that the web sites look the same for each place.